The rate of new businesses registrations has rapidly accelerated in the UK over the past few years. It is estimated a record 500,000 businesses start each year. One of the first challenges of any new business owner has to face is how do they get business funding. 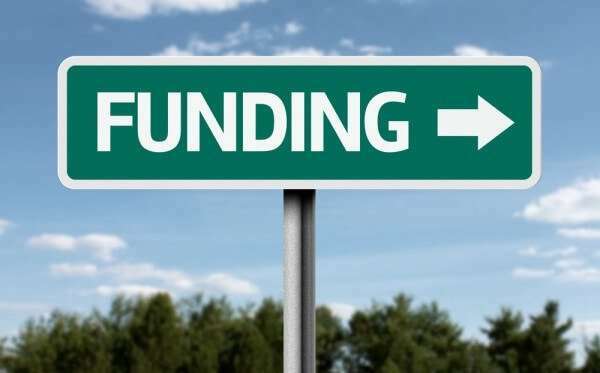 This article will take you through the most popular ways to get your business funded and will provide an analysis of each. 60% of businesses are started with capital injected by their owners. It is advisable to start off your business with own your money, even if you want external finance from an angel investor or bank in the future. It is simple, if you believe in your business, you will invest in it. Investors will be reluctant to invest in a company where the owner has not invested some money. Do not risk the overall financial well-being of your business, but you should be prepared to invest. Keep a track of just much of your personal money you have put in, and this includes your time. About 10% of startups are funded by friends and family as it is a lot easier to get money from them as they already trust you. The main drawback is the added pressure that comes from getting money from people that you know personally. Bootstrapping is a way of self-financing your business venture using the revenues, from your business. Bootstrapped startups do not have a lot of spare cash; this forces them to find ways to save money. Bootstrappers find bargains, utilise free and freemium services, crowdsource operations, use open source software and do whatever it takes to make their business work within their budget. Bootstrapping isn’t all about saving money. You can help elevate your business by finding resources or premises that can provide your business with added prestige and help build your reputation. Invoice finance is a great way of funding your business through your sales. Invoice finance allows you to receive 80%-90% of your sales within a couple of days instead of 30 or more days. Leasing (renting) instead of buying assets and equipment relieves pressure on your business’s cash flow. Angel investors are usually wealthy individuals who invest in fast-growing small companies for their profit but also for their enjoyment. Angel Investors are entrepreneurs that enjoy the thrill of working with a start-up. They want to be actively involved in the company but do not want to get involved with the day to day running. Angel investors tend to invest from £10,000 to £750,000 in exchange for up to 50% of the business. The average investment by a UK angel is around £40k. Currently, angel investment tends to be focused on businesses that have been trading for at least two years, are high growth, and they can see an exit strategy. Angels are more likely to invest in companies within industries that they are familiar with and have been successful. There are many business angel networks you can join and submit your business plan, if there is interest, it is likely you will have to pitch your business to a potential investor. The main advantage of angel investment is the advice, support and business connections that an experienced angel can provide. This can be even more valuable the investment itself. The main drawbacks of angel investment are you may have to give away more equity in your business than you had originally planned to. Also, you will have to comply with the investor‘s governance and reporting requirements. Crowdfunding is a new way of obtaining finance where large groups of people can invest small amounts of money in business. This is where people fund your business in exchange for rewards. Possibly the most well-known site to offer this form of funding is Kickstarter. This is where the crowd invests in your business in exchange for equity. This is where you raise a loan and repay with interest. In raising funds from the crowd, not only do you secure the capital you need, but you also attract attention and an audience of potential customers. Crowdfunding is highly accessible; entrepreneurs can still get their businesses funded when they have refused by business angels and banks. The downside of crowdfunding is that you will not get the type of support you might get from a business angel and access to their business connections. This confirms crowd-funding is an extremely viable, and in many ways a more favourable way of launching your startup. Increased profile, if your startup business captures the imagination of the crowdfunding community, it is likely to have a similar impact on the general public. Crowd-funding platforms quite interactive provide invaluable feedback that every startup requires. 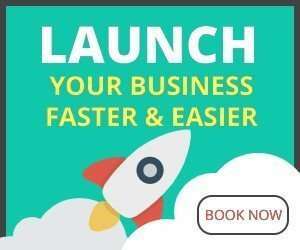 Crowd-funding enables you to engage with potential customers before your business is even launched. Crowd-funding platforms allow you to present your business to potential investors with prepared information and without having to present a live pitch. This is great if you are not a great public speaker. Crowd-funding platforms are accessible and easy to join. Many people struggle to find the right Business Angels to present their business to and spend lots of money to join Business Angel networks. To be honest, there are few disadvantages in at least attempting to get your start-up funded by a crowd-funding website. Additional time may be required to rewriting your business plan and preparing additional documents to make it crowd-funding friendly, but any feedback you receive from potential investors and clients should be welcomed. Going to the bank is the traditional way to obtain finance for your business, and if you are an established business and prepared to offer some security against your loan, it is still a viable option. If you are a seed or start-up without a long trading history obtaining finance from a bank is unlikely. Banks do provide small businesses with credit cards and overdrafts that can be very helpful in difficult times; however, they should only be used as emergency funding. Banks are looking for security and assurance that they will recover the money that they are lending to you. If you can offer personal guarantees, this will strengthen your position. When analysing your business banks will want to see that you have positive cash flow and are profitable. Do not approach a bank for a new loan if you are looking to cover losses. Banks occasionally do lend to cover losses, but this facility is usually only open for existing customers. Banks will inspect your forecasts and start-up costs to ensure your projections are robust. Banks are more likely to look through the details of your business plan. Understand your break-even point and how many sales you need to turn a profit. They will want to know if you are honest and reliable. A strong business or employment history will help. It’s also easier to get a loan from the bank that you currently for business or personal finances. You will need to prove to the bank you and your team have the business acumen to manage a successful business. Use your previous trading or business plan to back this up. The bank will want to know if your business has significant net assets – how does this commitment compare to the amount requested from the bank? Are profits retained in the business? Why do you need the money? Is it to buy equipment, overseas expansion? You need to have a plan for the money; banks will not cover contingencies or losses. If this is the purpose of your loan, you should be seeking equity investment. You need to understand your requirements and be able to back this us in your financial projections. This is probably the most important factor, your previous trading history and your business plan should demonstrate that you can repay the loan. Can you offer the back a guarantee they will recover the money loaned if you default? Banks will want security against your loan whether it is through your business or a personal guarantee. Banks will expect you to have prepared a full business plan or funding document to support your application. Unlike investors banks usually read your full business plan. Make sure it is compelling and succinct especially the financial projections as they will be intensely scrutinised. For seeds and start-ups, business incubators and accelerators are a great way of gaining funding, knowledge and support as they provide them with a base with other similar-sized companies. If you are starting up a technology company or social enterprise, there are many great options available. Many universities run incubators for recent graduates and will provide them access to research facilities and will provide them with funding for 1-2 years. The Start-Up Loans Scheme started in May 2012. It is a government-funded initiative that provides start-up loans with mentoring for entrepreneurs across England and Northern Ireland. It was designed to go some way to help solves the problem of supporting people who have a feasible business idea but no access to finance. The Start-Up Loan scheme aims to equip enterprising individuals with the tools needed to make their businesses a success. Initially, the Startup Loan scheme was for young entrepreneurs between 18-30. However, recently the upper age limit has been lifted. This means businesses that would not attract interest from banks, angel investors and crowd funders will get an opportunity. This is a fantastic opportunity for the unemployed or those seeking to return to work. Barriers to accessing the loan have been reduced, to apply for the loan all you need to do is submit a fairly basic business plan and cash flow. There are no complicated business plans or pitches to be delivered that is common when trying to attract an investor. The startup loan delivery partner will help the applicant through the application process and help them improve their business plan. This support is continued if your application is successful. All loan recipients are assigned a mentor to guide them through the difficult first year of operation. A Startup Loan is not for every entrepreneur. The loan is a personal loan for business purposes. This means if the business does not succeed the entrepreneur, not the business is liable to pay back the loan. Furthermore, if your business requires a large investment, the £25k limit will not be sufficient, although each co-founder can apply for a loan for the business. This is one of many startup loans available; there are thousands of grants that are available for entrepreneurs. The Start-up London program was for young entrepreneurs between 18-30. However, recently the upper age limit has been lifted. This means businesses that would not attract interest from banks; angel investors and crowd funders will get an opportunity. This is a fantastic opportunity for the unemployed or those seeking to return to work. A Start-up Loan is not for every entrepreneur. The loan is a personal loan for business purposes. This means if the business does not succeed the entrepreneur, not the business is liable to pay back the loan. Furthermore, if your business requires a large investment, the £10k limit will not be sufficient, although each owner can apply for a loan for the business. If you are considering starting a new business or have been trading for less than two years and want to expand your business, a Start-up Loan may be the best funding option for you. A Start-up Loan is a personal loan for business purposes. You are required to pay back the loan within 1-5 years. The exact term will be agreed as part of your application process, but individuals can receive up to £25k. Capital repayment holidays are available, but interest must be covered monthly throughout the loan term. You need a simple but well-researched business plan describing what your business does, what your plans are and how you will be executive your plan. The application process for government loans and grants can be very long and complicated. They also require match funding from the business owner. Before applying for a government-backed loan or grant seek professional advice as there, are thousands of grants available to small businesses, and you need to choose the right one for your situation. Below is an overview of the products that are currently available. This is a cash award, which is usually given out for activities such as training, employment, export development, recruitment and capital investment projects. With a direct grant, most schemes usually require the company involved to put up around 50% of the cost. The government’s ‘business finance support finder’ directory has over 300 direct grants agencies listed such as UK business “innovation” organisation the Technology Strategy Board. The directory also features various local grants providers who are facilitated by the government’s £3.2bn Regional Growth Fund, such as Catalyst for Growth, which has direct grants of £5,000 to £500,000 available for chemical start-ups launching in the North West of England. Often, when the government invests in your business, the programme has a built-in protection for you. In this case, you might be required to pay back the amount only if the venture proves successful. It is like having a nice venture capitalist invest in your company, but only wanting a return on the investment if your project is successful and profitable. Repayable contribution programmes offer up to various avenues of access to various funds for small businesses. Some programmes take the form of interest-free, unsecured repayable loans, where all or part of the loan is repayable or conditionally repayable depending on the terms and conditions of the contribution agreement. On the other hand, some programmes take care of up to 50 per cent of the eligible costs for new enterprises, modernisation or expansion projects. Such costs include start-up costs, working capital and capital costs. Furthermore, any related operational costs, involving activities such as job skills training, industry related courses, marketing, product innovation, productivity enhancement or quality assurance could meet the criteria for eligibility to receive up to 75 per cent financing or up to a contribution limit of £500,000. At times, the government may provide funds through partnership programmes to encourage cooperation between unions and employers in finding ways to work together. Some programmes showcase the government’s commitment to specific industries. These programmes assist by helping with lowering costs, improving productivity, efficiency and product diversity. Other repayable conditional programmes exist to ensure the continuance of strategic R&D being undertaken by national aerospace and defence companies. The T&C’s are more generous than normal, for example, the interest rates are lower. A soft loan is a special type of grant where the terms and conditions of repayment are more generous (or softer) than they would be under normal financial circumstances. So, for example, the interest rates may be less, or there may be no interest to pay at all, and the repayment terms could also be for a longer period. If you are starting a social enterprise or charity, there are organisations such as Big Issue Invest, the investment arm of the Big Issue, which has soft loans from £50,000 to £1m available for positive impact, socially-driven entrepreneurs and also operates ‘participation loans‘ where repayment is linked to future performance of the enterprise. For young entrepreneurs aged between 18-30, The Prince’s Trust provides soft loans of up to £4,000, as well as support for your business idea, with interest capped at 3% and repayments spread over a period of two to five years. The provider of funds gets an equity share of the business. With equity finance, a capital sum is injected into the business, and the provider of the funds takes an equity share of the enterprise. When the value of the firm increases the stake can then be returned. However, unlike venture capitalists, the expectations and requirements of the providers of public funds are usually less demanding. It is also worth noting the government Enterprise Investment Scheme (EIS) and Seed Enterprise Investment Scheme (SEIS) which help companies raise finance by providing tax relief to investors who buy a share in your business. Start-ups can often find themselves in the situation where they lack a particular set of skills, and there are some schemes which provide this knowledge either for free or at subsidised rates. For instance, the Welsh government runs a business support service offering free, independent advice on starting a business and operates an instant hotline for business queries. The transfer of technological advances and new best practice initiatives can often take a long time filtering down to smaller businesses. The government has set up schemes which aim to overcome this through business support networks, and there is now some well-established best practice initiatives such as Investors in People (IIP), which specialises in business tools and resources. When it comes to research and development, the costs involved can prevent small firms from taking part. However, by sharing the costs with other businesses, and then sharing the expertise, this problem can be avoided. Venture capital is financial capital provided to early-stage, high-growth startup companies, usually in the technology and scientific industries. Venture capital firms are investment firms who have large sums of money to invest in the right type of business. Do not approach a Venture Capital firm if you are looking for investment in your business of less than £500k. Venture Capital investment is out of the reach of most businesses; it limited to exceptionally high-growth companies. If you do get funding from a venture capital firm, you should be prepared to lose the majority of your business. The original entrepreneur thinks of the business idea and immediately starts investing time and money into developing the business idea. This phase commences when the original entrepreneur has worked on the idea and proved the concept to themselves and close friends and family. They realise they do not have all of the skills required to run the business and start looking for help. Without any revenues to pay anyone they eventually seek a co-founder. This is probably the most familiar stage of for most entrepreneurs. The idea has now reached a level of maturity that now needs to be fully tested in the marketplace. The founders believe now ready to launch. They write a business plan and ask for investment from their family, friends and start seeking other investment options. They do not realise the business is not mature enough to approach banks and business angels. However, this is a perfect time to seek seed funding, start-up loan or grant. 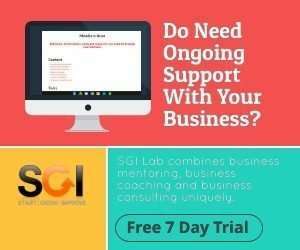 This is a good time to start expanding your network by seeking the help of an advisor that can assist with the development of the business. If the business is growing rapidly and there is a commitment to the team to expand the business, you should seek angel or crowdfunding investment. If the business continues to grow rapidly and you are showing signs of becoming a market leader your business will attract attention from venture capital firms.